Unlimited retakes — You can't fail! If you've been ordered by a Michigan court to take a defensive driving course (also referred to as defensive driving traffic school), you've come to the right place. Our online course meets all court requirements, with no boring classroom lectures. It's the easiest way to meet your court-mandated defensive driving needs. Why choose our course over other providers? Make sure you take the right course! 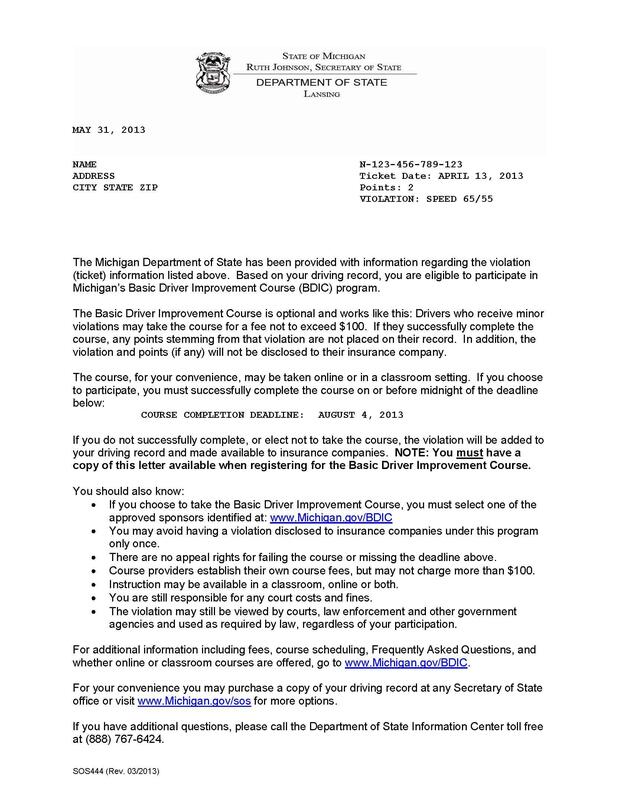 In Michigan, a defensive driving course (traffic school) is mandatory for certain violations. The court determines which drivers need it and informs them in person. Other violations allow drivers to take a voluntary Basic Driver Improvement Course (BDIC) to prevent points and insurance increases. If you're eligible for a BDIC, the court will send you a letter to inform you. View a sample letter here. Don't take the wrong course! Learn more about the differences between these courses here.